These adorable coasters have fun sewing icons on them. 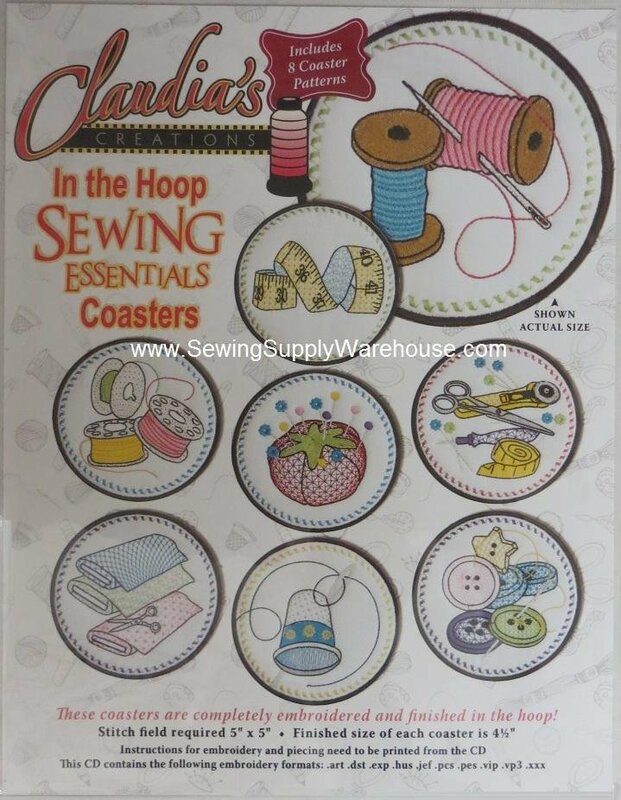 What could be better than sewing coasters for the drink in your sewing room! They are done in-the-hoop, so there's no extra work putting them together. You could also use the designs on sewing machine covers, bags and many other things.